I've taken my classic Freezer Meal French Toast Casserole and completely turned it into an instant Autumn Fair Grand Champion Winner! I promise, you make this for a family gathering, or potluck and you won't bring home any left overs! Milk Substitutions: You can easily use any combination of milk products, including almond or soy type milks. It may slightly change the taste or texture some, but not by much. A small price to pay if milk choices are something that is important to you! I recently had to make a change to Soy milk for health reasons. Today I went ahead and tried it in today's recipe. It did great! Apples: Choose a good, crisp & firm apple to bake with. I used organic Honey Crisp Apples sent to me by Rainier Fruit Company, and were PERFECT for this recipe! Sponsor Shout out! : I got to bake my casserole in this pretty new Pyrex dish from their Pyrex Home "Waterfall" collection! It was almost too pretty to use! They have pie plates too that are too die for! and use these amazing new tools from Dream Farm ! 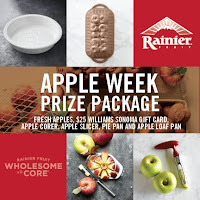 The snip and shear tool snipped right thru my apples, and the measuring cups and spoons that level off your ingredients, such as my Flahavan's Steel Cut Oats and Rodelle Vanilla ?? Filled my dish with quality ingredients that make this dish an instant classic for years to come! and can I save I've fallen in love with both my new Cassabella's Veggie Scrubber along with Veggie Wash? 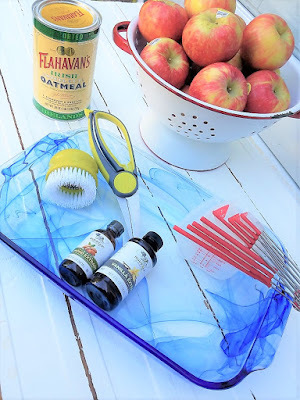 , Both are the perfect partners to clean off sticker residue, wax and "icky's" off my produce? 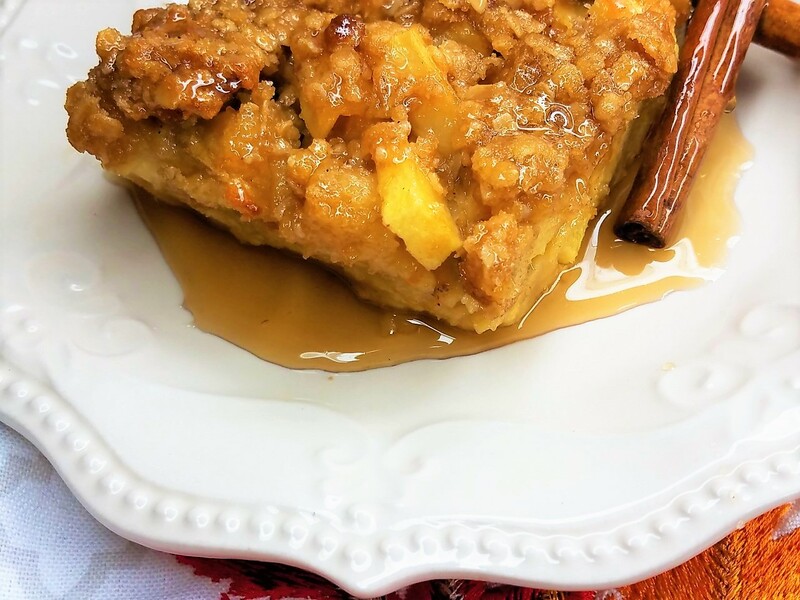 Overnight Apple Cinnamon French Toast Casserole with a Brown Sugar Oatmeal Cobbler Crumble Topping. Spray 9 x 13 baking dish with non stick cooking spray. place cubed bread in pan.Add chopped apples to bread, mixing throughout.In separate bowl, whip eggs till well blended. Whisk in Milk, cream, vanilla & cinnamon. Pour Egg Mixture over bread & apples making sure bread is well covered. Cover egg & bread mixture and store in refrigerator overnight.For topping, combine butter, brown sugar, oats, and maple syrup, till well blended. Sprinkle i small clumps evenly over top of apple french toast casserole. Bake in 350 degree oven for 45-50 minutes, till center is cooked through. Serve Warm with Syrup. Don't forget to enter the Giveaway! It's full of a great prizes from our Sponsors! 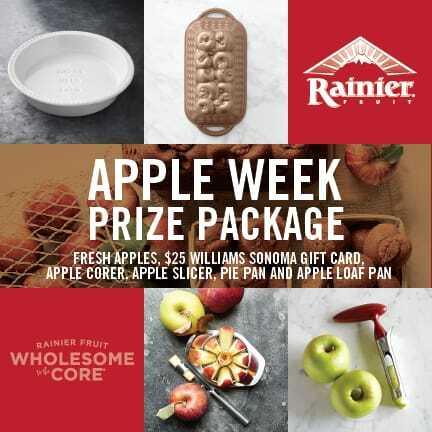 What a great way to kick of #appleweek! 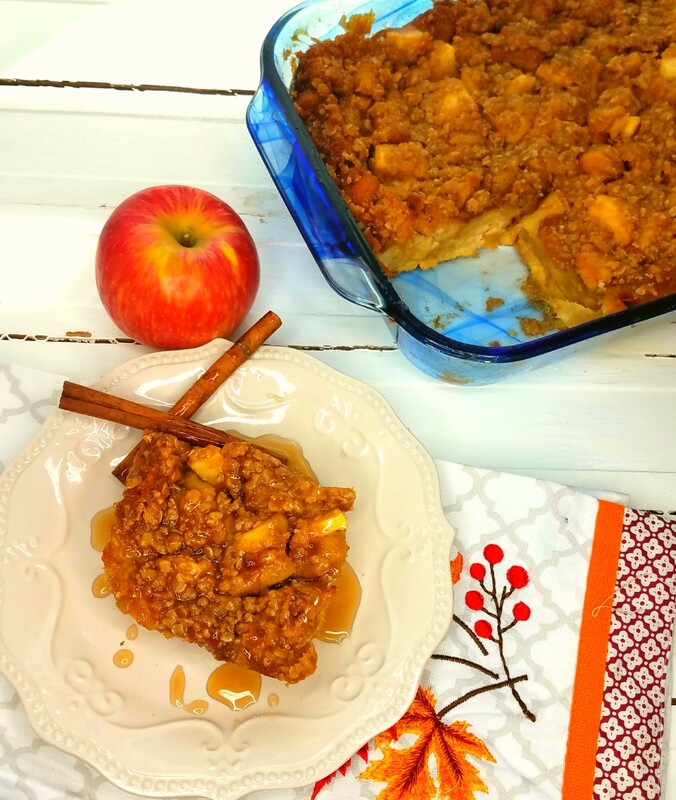 I just love fall baking and the more apples the better. I am so excited to see everything! I love French Toast Casseroles, especially when hosting overnight guests. I want to thank you for the linkup party as well. How fun!! I can't wait to try this recipe. 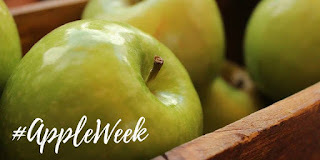 Thanks for sharing with #AppleWeek.